Mark Steel has performed as a stand-up comedian on the British comedy circuit and on national tours since 1983. 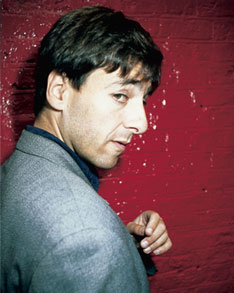 For Radio 4, he has written and performed four series of The Mark Steel Solution. A fourth series of The Mark Steel Lecture is on its way and will also be shown on BBC4 for the first time. The third series of The Mark Steel Lecture was a collection of absorbing, half-hour profiles of historical figures. Mark delved into the lives of people whose passionate ideas inspired their generation including: romantic poet Lord Byron; the father of modern philosophy Aristotle; artist Leonardo Da Vinci; jazz singer Billie Holiday; the revolutionary Che Guevara and our most revered socialist Karl Marx. Mark completed his second book, Reasons To Be Cheerful published by Scribner UK, in April 2001. So far, he's sold over 50,000 copies. In every major political event of the last twenty-five years, he has managed to play an extremely minor role. This book takes you through these years with exceptional wit and nostalgia and certainly leaves you with a reason to be cheerful. Mark's first book, It's Not A Runner Bean - Dispatches from a Slightly Successful Comedian, charts Mark's career as a skint comedian, on the comedy circuit in the eighties and nineties. Mark has also hosted the BBC Radio 5 sports programme Extra Time, produced a weekly column for The Guardian and now does so for The Independent.